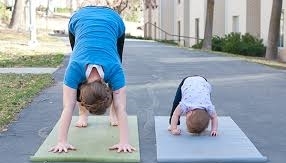 IMM offers more than just another mommy & me workout - we offer education and purpose behind every movement. Your children get to participate in the workouts with you, creating a bond and healthy education for life-long healthy habits. Children learn social skills, conflict resolution and get structured play-time all while you work toward achieving your fitness goals. 3 of our moms ran their first 10Ks! Re-discover your power. Take a coffee break with us and refill your cup, so it may overflow to others. IMM educates current and future generations.